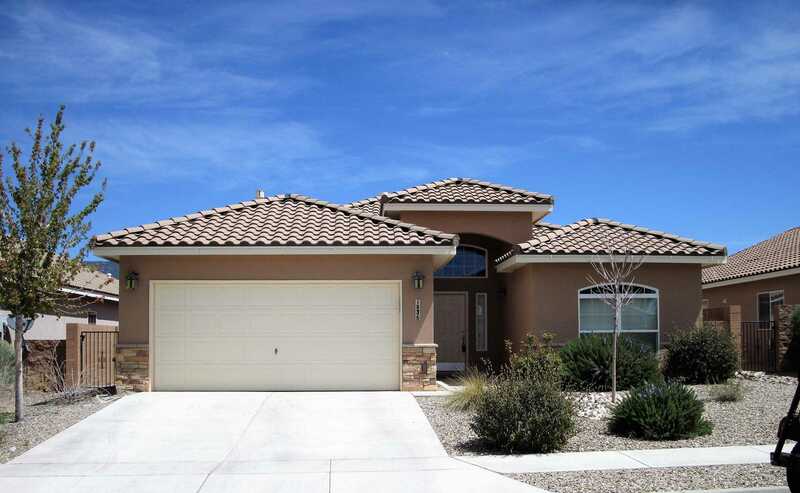 MLS# 942126 - 1836 Man O War Street, Albuquerque, NM 87123 - The FIRM Real Estate Group Inc. Courtesy of Coldwell Banker Legacy. ONE floor. Open Floor plan, Loads of Natural Sunlight, Attractive Nicho, A Kitchen Loaded with Extras, Granite Counter tops. Pantry and Loads of Storage. Master Bedroom with Tub and Separate Shower. 6 ft by 6.8 ft walk in closet. Sliding Glass Door to Covered Patio, Custom back yard deck with privacy wall. Easy Care Landscaping. ”Tobacco Road” Pre-finished Solid Stained wood Flooring. Kitchen, bathroom and laundry room with tile. Three sided gas fireplace. Formal dining room, could be office or converted to 4th bedroom! Ready to move in. Quick Close. Honey, Stop the car! This is the best number to reach you. Please Enter the Price you are willing and able to pay for the property. I want to Purchase Property "AS-IS"
Please click on all that apply. Make Internet Offer is a great new feature! You now have the ability to Submit an offer directly through this website. By just completing the from below our team will jump into action and present your offer price and details. We usually have an answered as to if your offer is acceptable to the seller usually within 48 hours. The Method is Fast, Easy and Simple and will ensure that you get your offer in front of the seller fast. The Firm - Real Estate Group Inc.